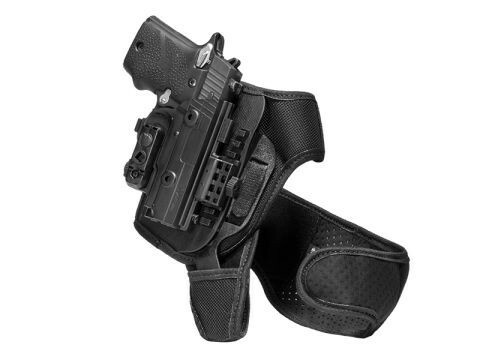 Alien Gear is here to give you a better class of Glock 43 ankle holster. 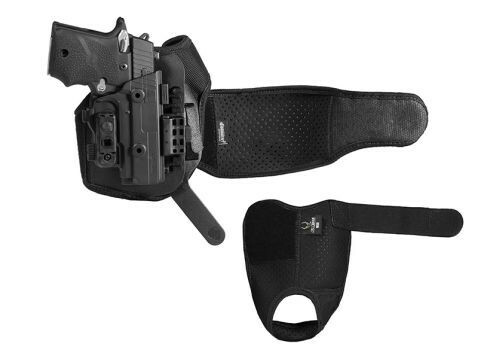 The ShapeShift system gives you better fit and retention than any other type of holster. 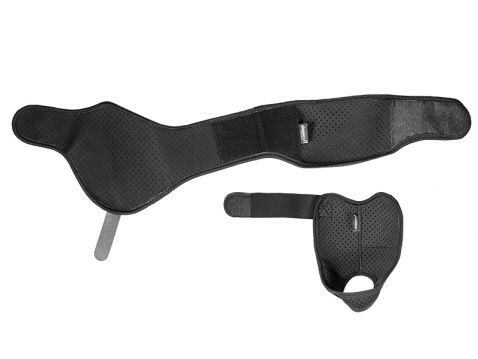 With our innovative approach to holster design, this holster also gives you more support, more comfort and a better carry with an ankle holster than any competing holster is capable of. 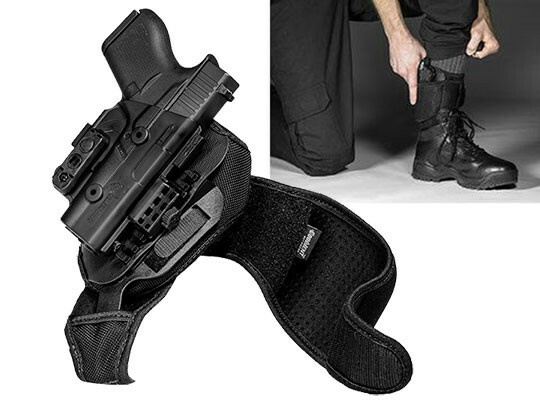 Start with the platform of this ankle holster for Glock 43 pistols. 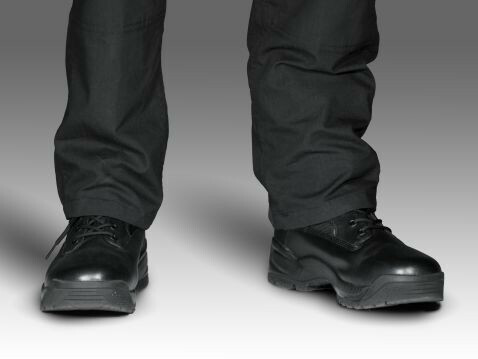 Our strapping system has two pieces, including an upper strap at the ankle level that the holster attaches to and a heel loop. The upper piece attaches a durable polymer insert into the heel loop. 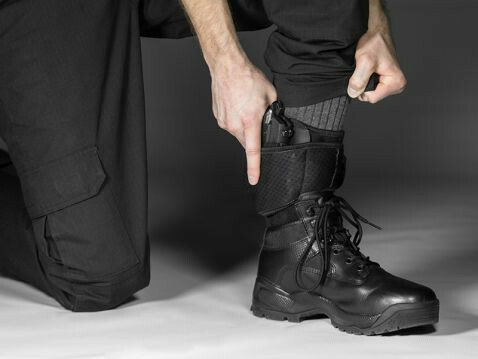 This anchors the holster at the top and bottom of the foot, giving it horizontal and vertical support. That keeps your gun stable at all times, and also prevents any slippage from occurring. Glock 43 ankle carry with most other systems will usually mean the holster slips up and down the leg as you move - but not with this holster. 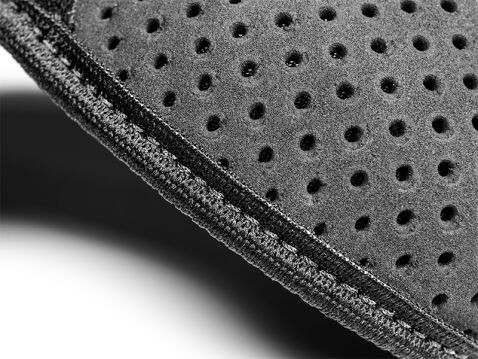 The strapping itself is elasticized perforated neoprene. It stretches tight for a solid hold, but without cutting off circulation. You'll also notice the neoprene breathes against the skin and wicks away moisture. Gone is the chafing and swampy feeling that you get with leather and other materials. You also won't ever have to worry about the fit or retention. The ShapeShift shell is custom-molded for the Glock 43, and fully wraps the trigger guard for added security. No break-in time is necessary, and neither is a haphazard active retention device. Dial in the passive retention to the exact setting you want via the Adjustable Retention Unit. Ride height is also adjustable, so you can set the carry position that you want. 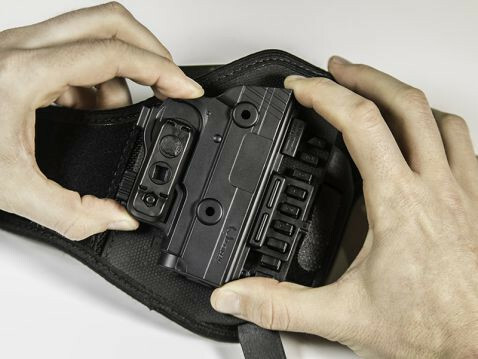 The Alien Gear ShapeShift Glock 43 Ankle Holster also comes with Alien Gear's Iron-Clad Guarantee, which includes a 30 Day Test Drive trial period and a Forever Warranty against all defects or damage to the holster. This is how you shift to a better ankle carry.